Lucky Brand is known for their embossed and patchwork leather handbags, and this season's picks are no exception! 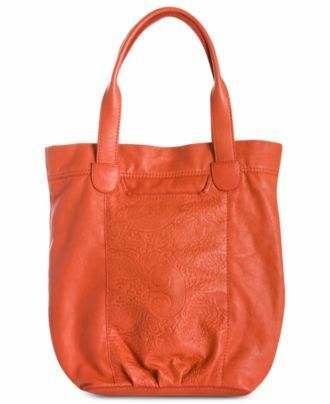 Try a pretty design in an unexpected color like this coral Paisley Embossed Leather Tote that's a perfect carryall bag for weekend errands. Grab this tote and try it right here, with ViewTry!